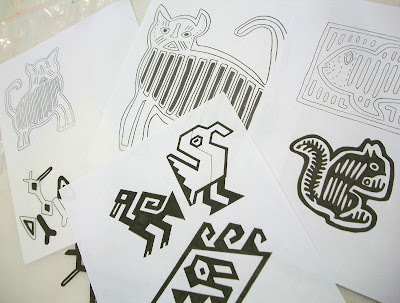 I spent a lot of time this week in the studio working up some designs for the Latin American Influences class. 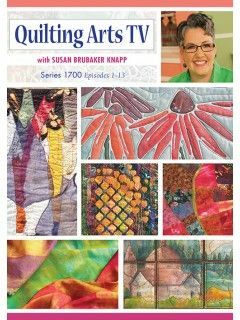 For inspiration, I looked at the textiles I own and poured over books of ancient Peruvian weavings and Guatemalan huipiles. 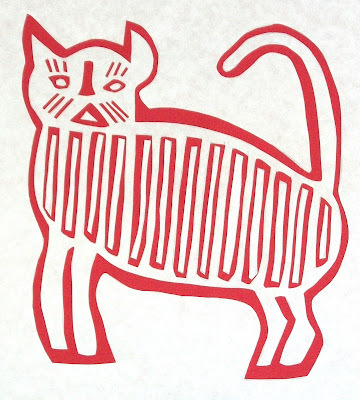 I love the strange god figures in the ancient textiles and all the animal motifs that form Escher-like designs. There are definitely some future cloth figures coming from these inspirations. But in the meantime, the focus is on the class. 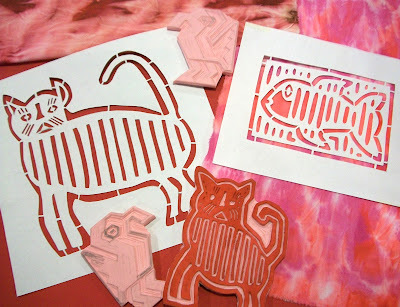 I designed and cut some freezer paper masks and stencils based on my molas. 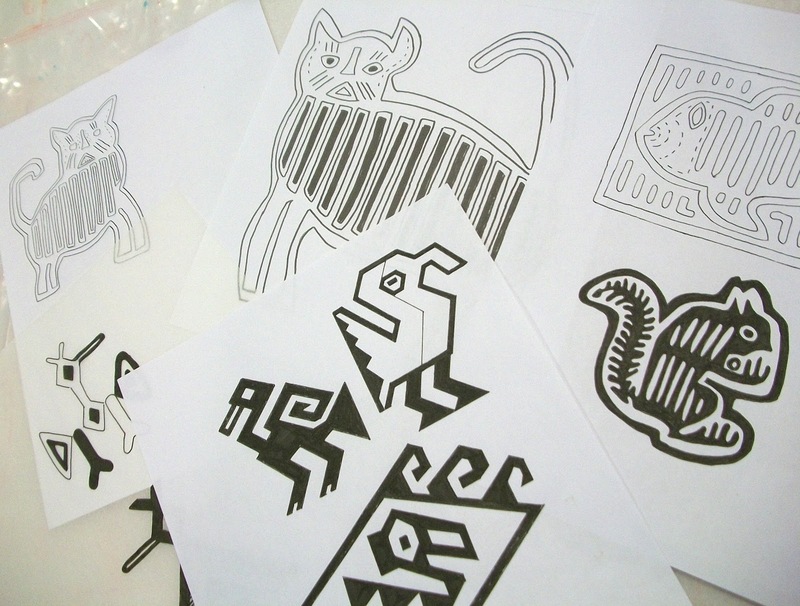 I'm brainstorming different ways to create mola designs with block prints, masks and stencils (and combinations of the three). I'm excited to see what discoveries arise out of my experiments. 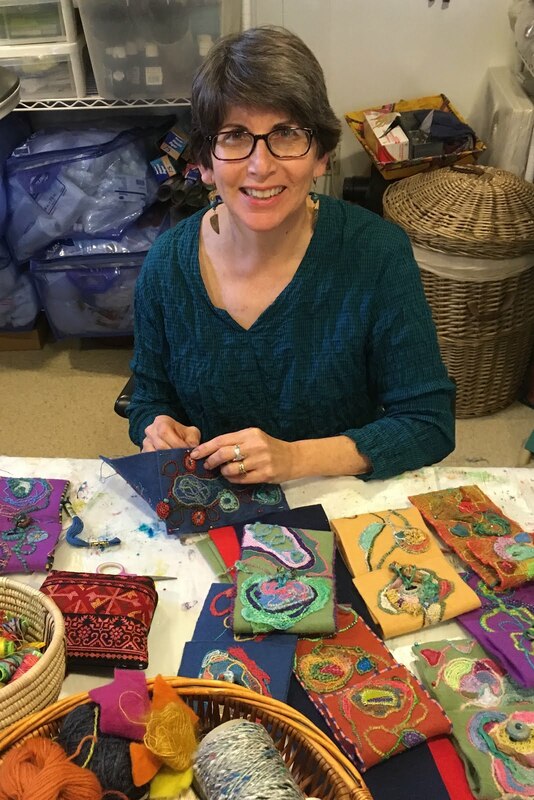 A lot of fabric printing must be accomplished this weekend. 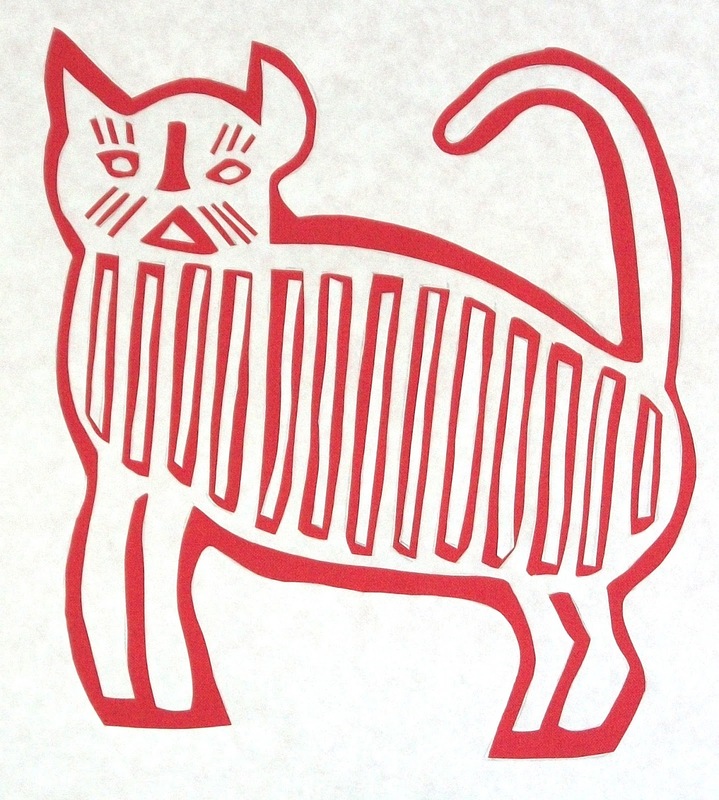 Is your Cat Mola from your trip to Colombia when my parents lived there, by any chance? Yes it is! I'm impressed that you remember it. I have a lot of fond memories of that trip. Still having fun...but need to get more samples printed for next week's class. So happy for you about all the positive feedback you're receiving for your new work.